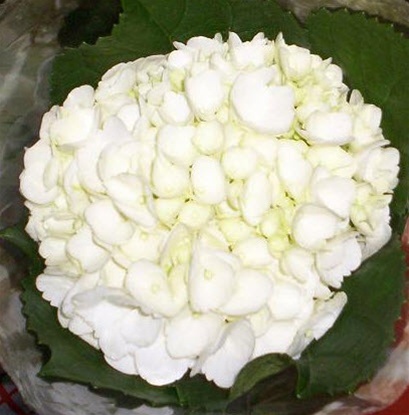 Jumbo White Hydrangea wedding flowers consist of clusters of 4-point smaller flowers. They give bulk and color for weddings or special occasions. Jumbo White Hydrangeas are popular for bouquets and arrangements. Free Shipping! These pure white Jumbo Hydrangeas are a massive 6-9 inches across! Jumbo White Hydrangea flowers have one stem per bloom and are available year round from our partner farms in Colombia and Ecuador.